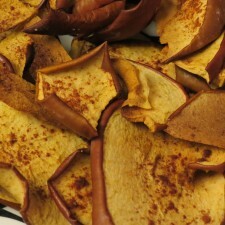 Fall is upon us and that means it is time to break out all of our favorite fall foods! One of my personal favorites is apples, but lately I’m bored with fruit. I have also been looking for an alternative to unhealthy snacks. This recipe is the perfect solution. Thinly slice apples crosswise about 1/8 inch thick with a sharp knife. 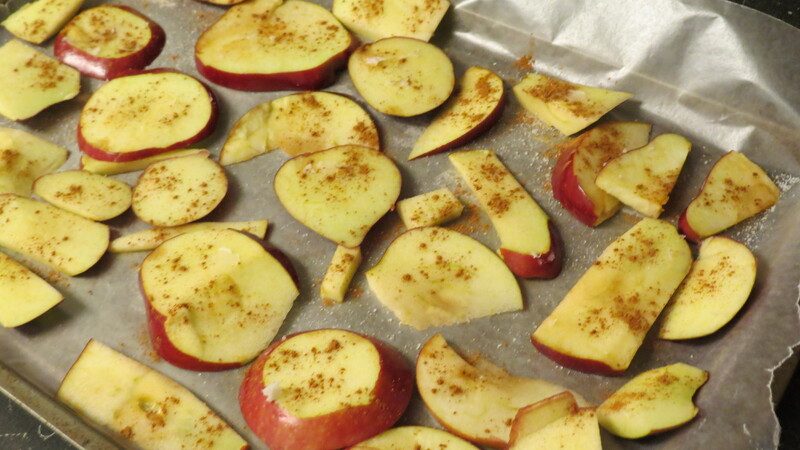 Arrange apple slices in a single layer on two parchment-lined rimmed baking sheets. Lightly coat the apple slices in coconut oil. In a small bowl, combine sugar and cinnamon. 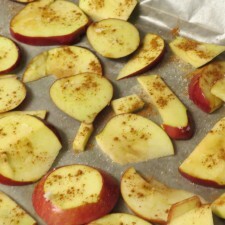 Sprinkle the mixture evenly over the apple slices. Bake in the oven until the apples are dry and crisp, or about two hours. The apples will begin to curl when they are done. 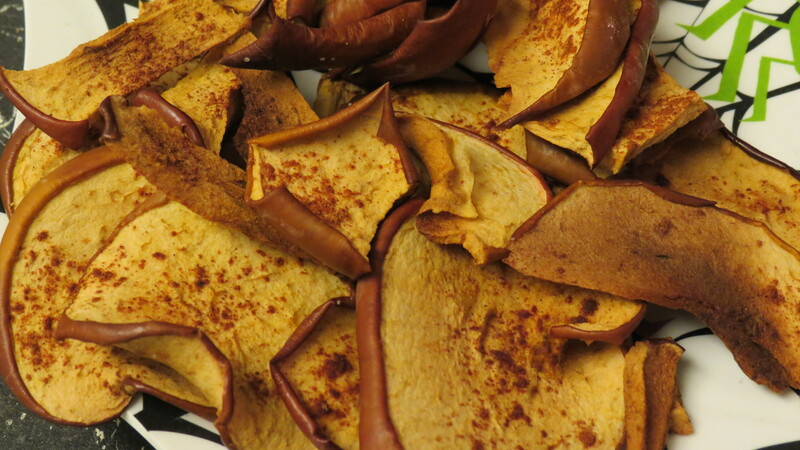 Remove from the oven and let “chips” cool completely before transferring to a sealed container. They will stay fresh for up to 3 days. I have now made them a couple of times and have found you can take out the sugar and they still taste great. They are a great snack to eat with lunch when you are craving that chip crunch.